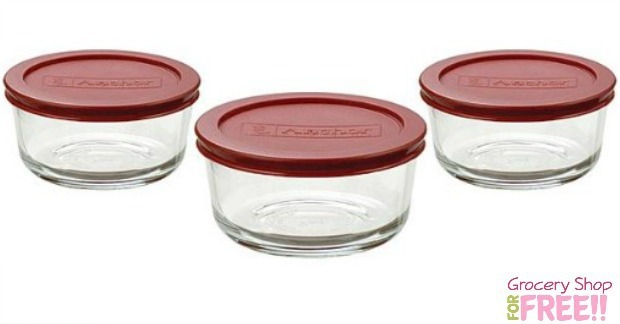 6-Piece Anchor Hocking Set Just $1.22 PLUS FREE shipping! Down From $8! You are here: Home / Great Deals / 6-Piece Anchor Hocking Set Just $1.22 PLUS FREE shipping! Down From $8! Right now you can get $5 back in Shop Your Way Rewards points when you spend $5 or more on select home purchases! With this great offer you can get this 6-Piece Anchor Hocking Set for just $1.22 PLUS FREE shipping! Down from $8!